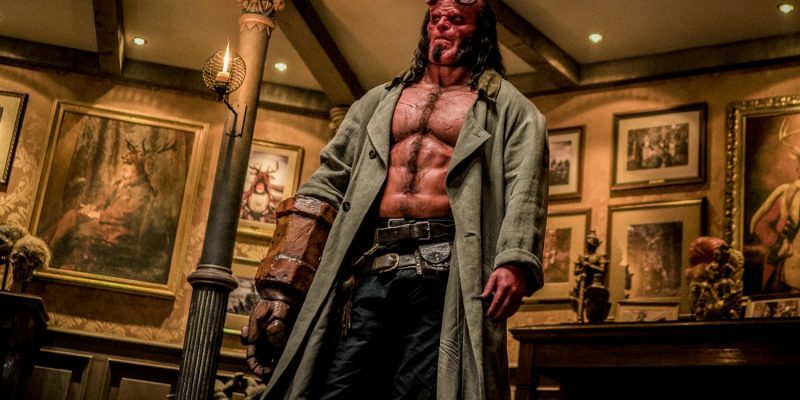 In this Neil Marshall reboot, we already have an established the scarlet-bodied Hellboy (David Harbour) as part of the B.P.R.D. (Bureau of Paranormal Research and Defense), working for his adoptive father, Professor Trevor “Broom” Bruttenholm (Ian McShane), in corraling and eradicating malevolent supernatural menaces wherever they may arise around the world. Hellboy reunites with Alice Monaghan (Sasha Lane), a powerful medium, and a cat-beast man named Major Ben Daimio (Daniel Dae Kim), in order to prevent the Blood Queen from Arthurian times named Nimue (Milla Jovovich) from taking a mate and growing powerful enough to finally take over the world and eliminate the human presence upon it once and for all. 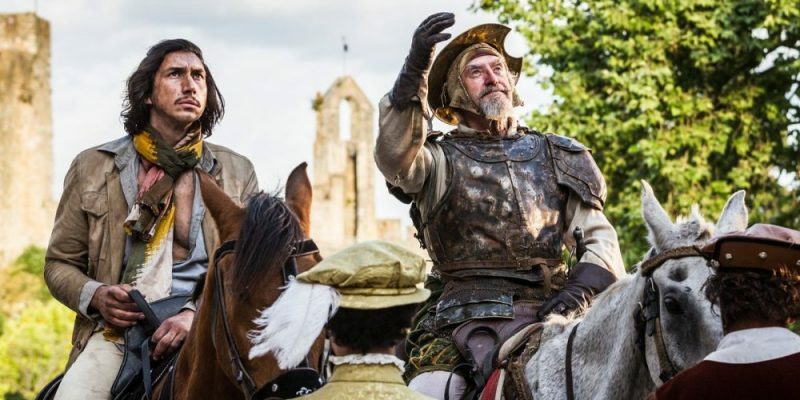 Film-maker Terry Gilliam has finally made it to the finish line with his seemingly quixotic quest to make a film version of Miguel de Cervantes’ “Don Quixote”, decades in the making. Adam Driver is the main star, playing a hot-shot hothead director named Toby, who is attempting to shoot a commercial in Los Sueños (aka, “The Dreams”), Spain with elements of Miguel de Cervantes’ epic, “Don Quixote”. He’s been down this road before, a decade prior, shooting it as a low-budget student film when he was humble and first getting his taste of the movie-making business. He had the perfect Don Quixote for his film, a show repairman named Javier (Jonathan Pryce) that he discovered and had to mold into some sort of actor. Now, many years later, Toby sees the aftermath of what he left behind in the small village he once shot in, finding Javier now actually thinking he is the true Don Quixote. What’s worse, he believes (and truly insists) that Toby is his squire, Sancho Panza. From there, fiction becomes fact, as Toby finds himself on a wild ride in trying to corral Don Quixote to sanity, all the while he himself begins to question his own grasp on reality with a series of adventures that may or may not be a fantasy of his own. 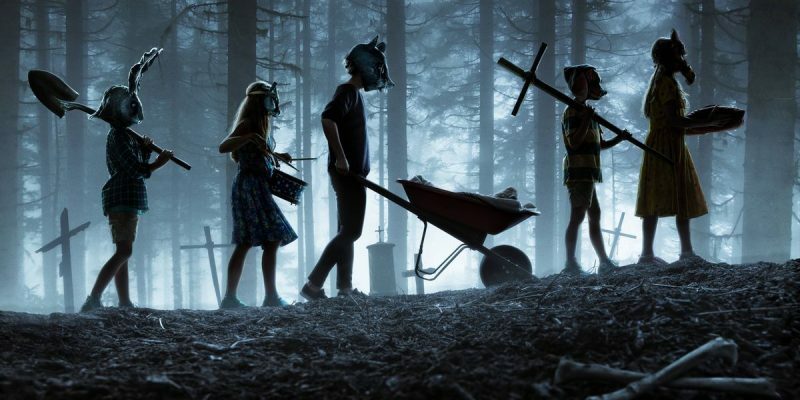 Pet Sematary is the second film adaptation of the Stephen King novel first published in 1983. The premise involves a family of four who relocate from the hustle and bustle of Boston to a small town in Maine called Ludlow on a wide parcel of land that includes many acres of wooded forest. It’s in that forest that their daughter Ellie (Jete Laurence) discovers a cemetery for beloved pets of people in the surrounding area, going back decades, including one belonging to their elderly neighbor Jud (John Lithgow). Turns out they may need the use of the cemetery, as their kind kitty named Church gets run over, causing the father, Louis (Jason Clarke), to have to bury the cat, though he can’t quite bring himself to tell Ellie and break her heart. Jud doesn’t want to see that happen and suggests burying Church in a special place far deeper into the woods. Lo and behold, Church is back with the family the next day, but it’s clear he’s not quite himself anymore. 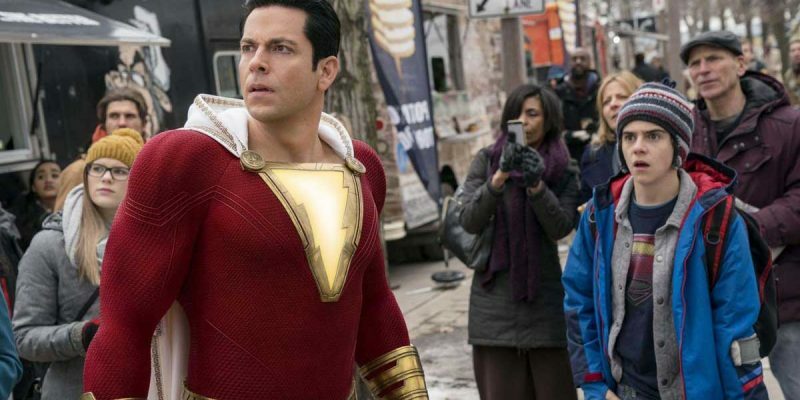 In this lighthearted DCEU entry, Billy Batson is a trouble-making fourteen-year-old living in a foster home in Philadelphia, having been abandoned by a young mother he’s been searching for since she left him at a crowded carnival many years prior. One day, the sleuthing prankster gets transported after an act of bravery to another realms to meet a powerful and reclusive wizard, who has been on a long-term search for someone pure of heart to pass on his magical powers to. The wizard bestows upon Billy the power to turn into an muscle-bound, adult-bodied, costumed superhero by using his name of “Shazam!” Along with his superhero-loving best friend in the foster home, Freddy, the still adolescent-minded Billy has plenty of fun in discovering his new powers and all of the things he can do with them, from buying beer to giving the school bullies some comeuppance. However, things get serious with the emergence of Dr. Thaddeus Sivana, once past over as unworthy by the wizard and seeking to usurp them from Billy, along with the cabal of demon-like possessors within him, representing the Seven Deadly Sins who plan to come to power with Sivana as their vessel to the outside world. 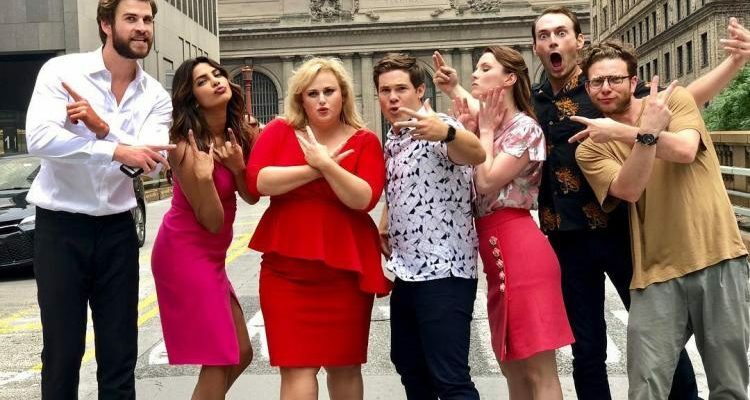 Rebel Wilson plays Natalie, working as an architect in New York City, though often marginalized by her peers at her firm as one of the administrative assistants who make copies and fetch coffee for the others a the board meetings. To make matters worse, she ends up getting mugged and assaulted in the subway, resulting in a loss of consciousness that finds her waking up in a too-nice hospital being catered to, and flirted with, by the handsome doctor there. Her apartment is now three times the size and meticulously furnished, her neighbor now flamboyantly gay, and the hunky, wealthy client they’ve recently taken on at the firm (Liam Hemsworth) now only has eyes for her. In short, she’s the star of her own romantic comedy, and the only person she can confide in that knowledge is her best friend at work, Josh (Adam Devine), who holds a secret crush for Natalie that she’s been too stuck in her low self esteem to see. Hiccup is now into adulthood, young but now the leader among the Dragon-rescuing Vikings of their island fortress village of Berk. Though the Vikings have lived in Berk for generations, Hiccup soon sees that they’ve outgrown their small island, especially with the overcrowding of the Dragons there as they rescue more of them, eyeing the mythical sanctuary on the edge of the world to guide these magical beasts. 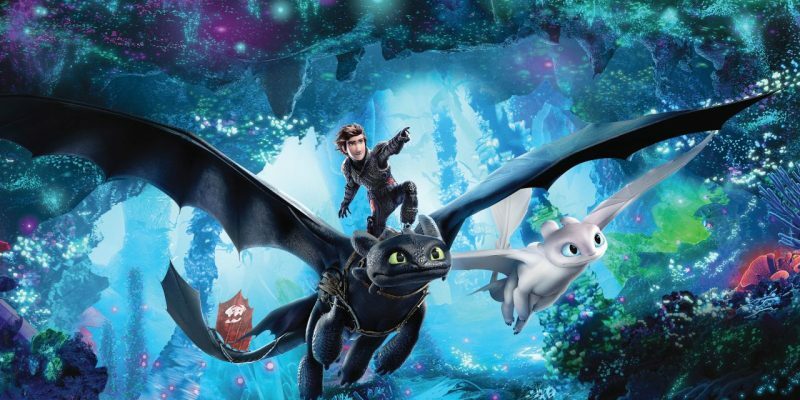 Meanwhile, love may be in the air, with Hiccup perhaps on the verge of marriage with Astrid, though she seems reticent, and Toothless perhaps finding a mate with a female Dragon very much like him, dubbed a “Light Fury” due to its alabaster color, in contrast to Toothless’ obsidian appearance. Unfortunately, it’s all a trap set by Grimmel, the notorious hunter of Night Fury dragons, who aims to snuff them all out at any cost. THE KID WHO WOULD BE KING involves a young boy in London named Alex, who spends his days bullied at school, primarily because he sticks up to those bullies – Lance and Kaye – to protect his bullied friend Bedders. 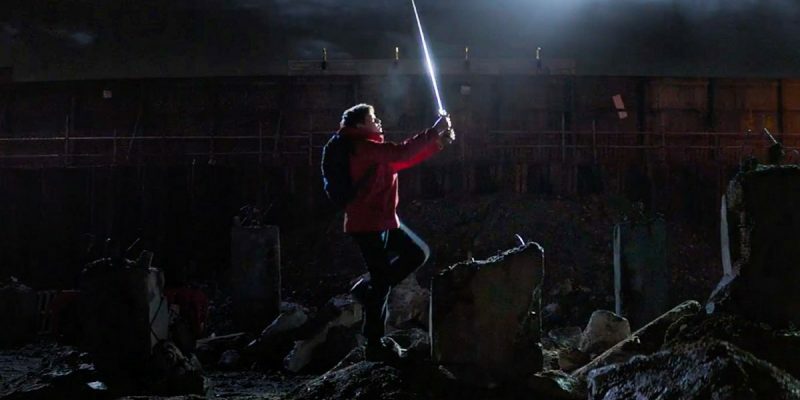 In the heat of one of those skirmishes, Alex stumbles upon a ‘sword in the stone’ like the one in his book on King Arthur left to him by his absent father, and he manages to pull it out from the concrete block that had been its home. Knighting Bedders with it, the boys are soon visited by a teenage representation of Merlin (he claims to age backwards), who is lost in time and newly in disguise as one of their schoolmates. Merlin gets Alex up to speed about his quest to save humanity from enslavement from the coming of the dormant but powerful witch Morgana within four days (when a solar eclipse will happen), and that he’ll need to raise an army of his friends, and enemies, to become the king of legend. Joe Cornish writes and directs. 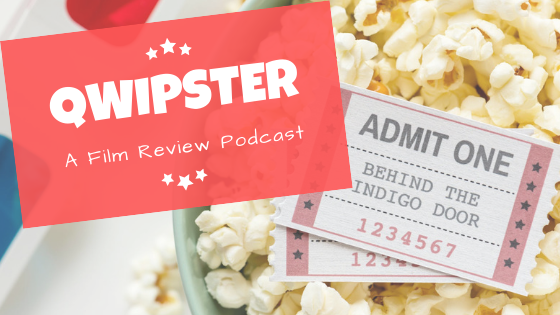 Features Louis Ashbourne Serkis, Angus Imrie, Rebecca Ferguson, and Patrick Stewart. 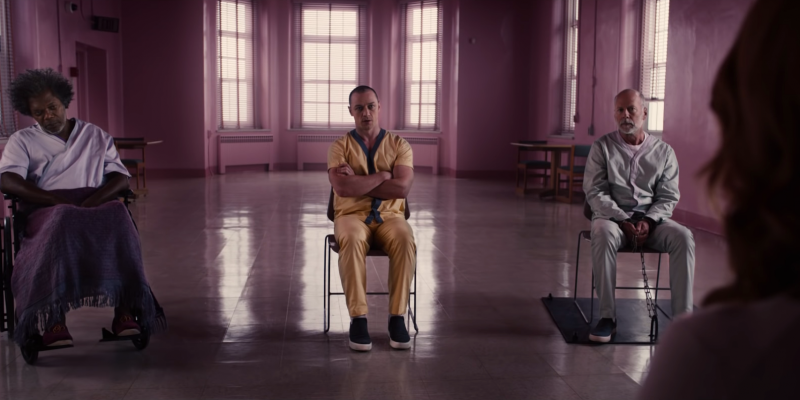 Glass serves as a sequel to two films from M. Night Shyamalan, 2000’s Unbreakable and 2018’s Split, the latter of which tied itself to the former with the post-end title stinger. Bruce Willis makes his return as the ‘unbreakable’ security company owner David Dunn, who, along with his adult son (and sole employee) Joseph, is trying to track down a crazy roaming the streets of Philadelphia who is abducting teenage girls. James McAvoy continues his portrayal of Kevin Wendell Crumb, aka The Horde, a conglomerations of split personalities that take over Kevin’s body at various points, including the homicidal brute known as The Beast, who is the one feeding on those girls David is looking for . Samuel L. Jackson also returns from Unbreakable as the titular character, the brittle mastermind self-named Mr. Glass, aka Elijah Price, who has apparently been laying low for some time under heavy sedation. The three end up rounded up and subsequently kept separate chambers within a high-security psychiatric facility led by Sarah Paulson’s Dr. Ellie Staple, whose specialty is in rehabilitating persons who believe they are superheroes. From Split, Anya Taylor-Joy returns as Casey Cooke, who survived her terror-filled first meeting with The Horde while in its persona as The Beast, but who finds herself drawn to help him escape his inner demons. The setting starts sometime in the 1980s, where we find Atlantean queen Atlanna (Nicole Kidman) coming up to the surface in the state of Maine to get away from an arranged marriage, seeking a bit of sanctuary and time to heal in a lighthouse run by a human named Tom Curry (Temuera Morrison). The two unlikely partners fall in love, eventually leading to a son, Arthur Curry. The kingdom of Atlantis is not pleased with Atlanna’s apparent defection to the land, sending out their soldiers to claim her back, culminating in Tom being left alone to raise the boy himself as a human, except one with the powers of Atlanteans in his DNA, including an ability to talk to and command all forms of marine life. We fast forward to Arthur’s adulthood, known to the land-dwellers as “The Aquaman” after a series of public acts of heroism, one including taking down pirates that includes future nemesis Black Manta (Yahya Abdul-Mareen II). 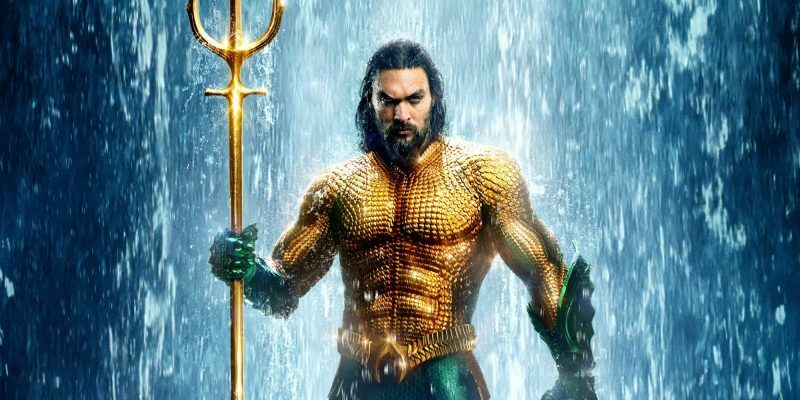 However, Arthur has to become a savior to his adopted people when the current rule of Atlantis, Arthur’s half-brother Orm (Patrick Wilson), is looking to mount a war with the land walkers who continue to pollute the oceans, seeking the assistance of King Nereus (Dolph Lundgren), one of the leaders of the ‘seven seas’ needed to approve. Nereus’s daughter Mera looks to recruit Arthur’s assistance in staving off the uprising from his brother’s charge. Arthur must go undersea to make his presence felt, but the opposite of a fish out of water in his new environs in the Atlantean realm, especially when the situation boils down to a mano-a-mano battle between Arthur and Orm on his home turf (or non-turf, as it happens to be). Illumination Entertainment brings Dr. Seuss’ beloved story to the modern age with 3D animation and the vocal talent of Benedict Cumberbatch. 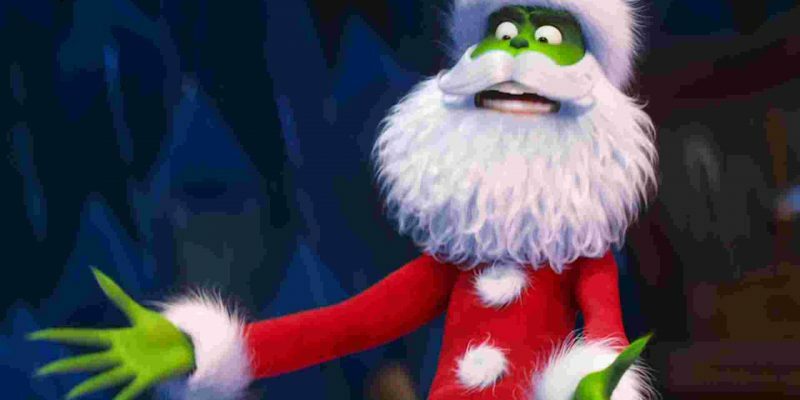 The Grinch hates Christmas and plans to thwart the festivities of the Christmas-loving denizens of nearby Whoville, but after donning the Santa Claus outfit to steal their presents away, has to confront the wishes of a young girl who needs Santa’s help.